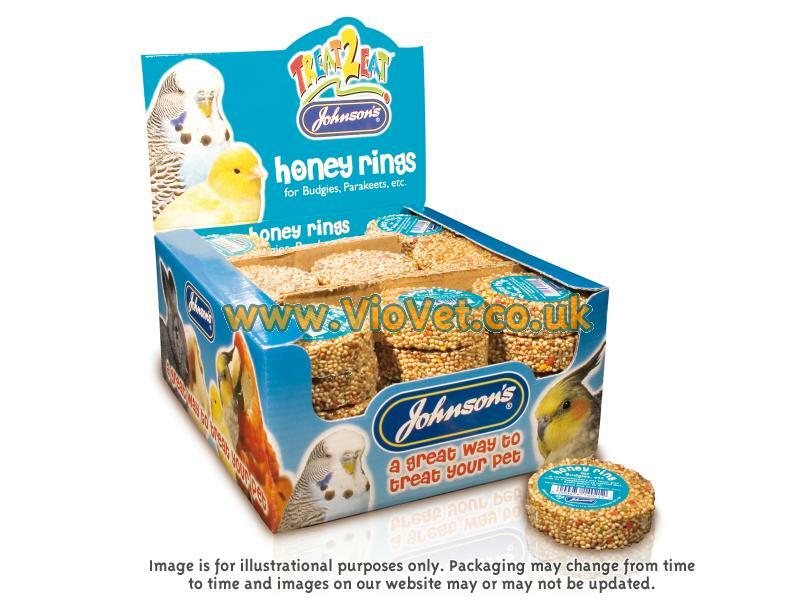 Johnson's Treat 2 Eat Honey Rings are honey coated seeds which which are designed to sit on a perch. A great treat for budgies and parakeets. There are currently no questions for Johnson's Treat 2 Eat Honey Ring Bird Treat - be the first to ask one!